Pam Marsh was elected to the Oregon State Legislature to represent House District 5 in November 2016. She is a 24-year resident of Oregon, former Ashland city council member, small business owner and past manager of Ashland’s nonprofit food bank. It’s a diverse resume that’s given her a good understanding of the local economy and the challenges facing families that require state attention, including early childhood programs, strong schools and the continuation of health care reform. Pam is Vice-Chair of the House Committee on Economic Development and Trade, and also serves on the House Revenue and Energy and Environment committees and the Joint Ways and Means Subcommittee on General Government. She is a member of the State Broadband Advisory Council and the Oregon Retirement Savings Board (OregonSaves). Pam was appointed by the Ashland City Council to fill a vacant position in December 2012. Two years later she won a 4-year term, receiving 90% of the votes cast. Before joining the Council, Pam served as a member and chair of the City Planning Commission and as a member of the Ashland Charter Review Committee. Pam has lived in Southern Oregon since 1994, when she and her husband, Diarmuid McGuire, moved their four children from Palo Alto, California, to the mountains above Ashland. 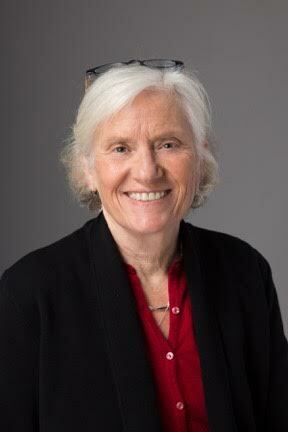 In Palo Alto Pam served on the Planning Commission, worked as district representative for a state legislator, served as executive director of the Santa Clara County Cities Association, and participated in a variety of nonprofit and public school organizations. For ten years after moving to Oregon Pam was actively involved in management and operation of Green Springs Inn and Cabins. As a parent of a student at Pinehurst School, she participated on the school site committee and Pinehurst School Foundation. Her family continues to own the business, which is currently managed by her husband and son. In 2005 Pam graduated from Southern Oregon University with a BA in Political Science. From 2005 until her election to the legislature in 2016, Pam worked with local nonprofit organizations as deputy director of a drug and alcohol prevention and treatment agency and as manager of Ashland Emergency Food Bank.